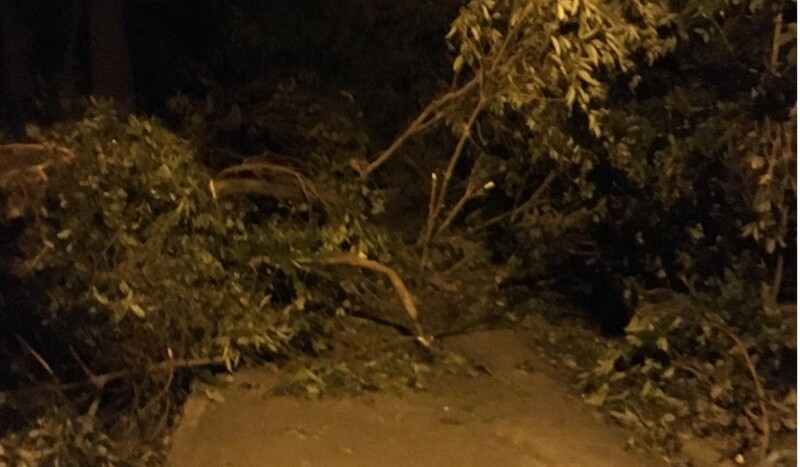 Hong Kong has picked up the pieces after Typhoon Mangkhut with impressive efficiency, but getting the Country Parks’ trails back into working order will take some more time. But the trail running community is clubbing together to speed the process with crowd sourced information. The Agriculture, Fisheries and Conservation Department (AFCD) has been documenting the extensive damage to hiking and recreation facilities in country parks across Hong Kong. But some trails were spared from the worst of the storm’s ruinous wrath. The 8.5-kilometre Sir Cecil’s Ride, for example, which stretches from Mt. Butler Road in Jardine’s Lookout to Mt. Parker Road above Quarry Bay, was largely clear even just a day after Mangkhut. Similarly, Black’s Link seems to have got off surprisingly lightly. On Facebook, the trail running community has been sharing updates on trail conditions. “Lamma is a disaster,” lamented one runner. “Bowen Road this morning … was just not happening,” wrote one runner on Monday. Since then, Bowen Road has been cleared somewhat, though it is still best for those training for the steeplechase or an obstacle race. This reporter has also created an open, crowd sourced spreadsheet to keep track of reports on trail conditions across the city. The storm may also have displaced snakes, so runners and hikers may come across them in places they would not otherwise expect to. “Generally speaking, the storm is more likely to leave snakes hiding out for a while following the wind and damage, so I wouldn’t expect you to see as many casually out and about,” said Adam Francis, a wildlife photographer and co-author of Hong Kong Snake ID. “With that said, it is possible that storm will have displaced snakes by either disrupting their hiding spots or washing them out in streams or other water channels. In that regard it might result in seeing snakes in spots you might not have before or at strange times,” he added. Francis added that these displaced snakes “could be a bit more sensitive, injured and or scared,” and may bite defensively if caught off guard. He also cautioned runners and hikers to be especially careful when climbing over fallen trees or pushing through bushes, because it could be possible to disturb a hiding or injured snake. Race directors, too, will have to deal with the consequences of extensive trail damage. The Tailwind Trail Chase, which was originally scheduled for the 16th of September, but had to be rescheduled to 29th of September will have to alter its course. “We have sent some staff to check the course and will change the racecourse for Tailwind Trail Chase,” said race director Felix Shum, who heads up the race-organising company XTE Race. XTE is also hosting the Ferei 45km Mac Trail Challenge on 1 October. The race traverses sections four to eight of the Maclehose Trail, and Shum said that his team will have to closely monitor the conditions and decide whether to alter the racecourse. Another upcoming event affected by Mangkhut is the Victoria to Peak Challenge. The road race takes runners along a steep scenic route from Victoria Harbour up to Victoria Peak, winding its way up nearly 400 meters over 10 kilometres. But the route has sustained considerable damage. “We will be assessing the route safety by the end of this week, allowing some clearance work to be done first, before deciding if it will affect our route on the 1 October,” said Freeman Lee, the race director. This weekend was also supposed to see runners dashing up more than 900 meters over seven kilometres along Shek Pik Country Trail in the Lantau Vertical race, organised by Valerie Lagarde and Jeremy Ritcey of The Trail Hub. Both said they are “heartbroken,” as extensive trail damage have forced them to postpone the race, but they do not have a set date or a permit just yet. The AFCD currently has all hands on deck as they scramble to put the country parks back in working order as soon as possible, said a department spokesperson. However, the department has yet to announce how it will proceed with scheduled races in country parks for which permits have already been granted, and are assessing organised events on a case-by-case basis.